Full of fruity flavour and sweetness this small sized milkshake is the perfect anytime treat. Place the first four ingredients in a blender and process until smooth. Swirl a teaspoon or so of jam to the bottom of the glass, pour in the milkshake and decorate the top with another teaspoon of jam and the raspberry. Serve immediately. 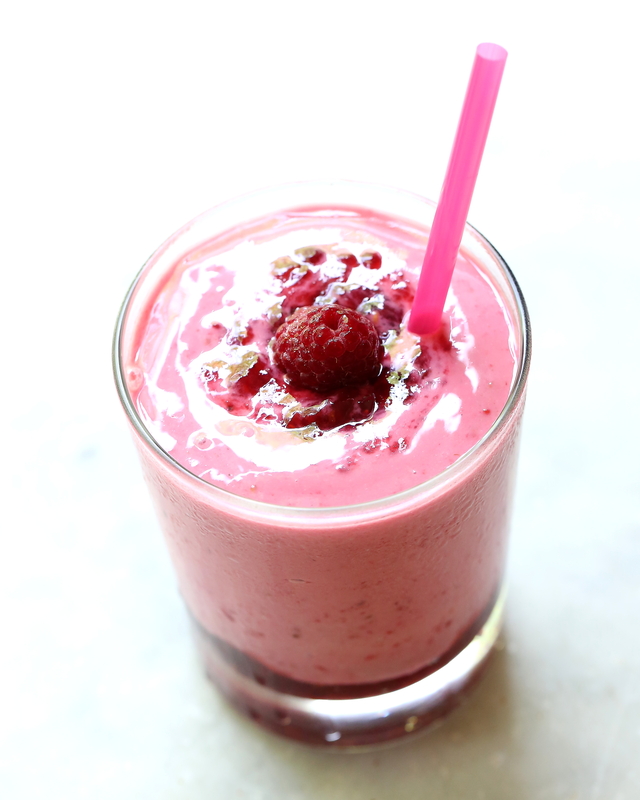 Posted in Drinks, FruitTagged food photography, milkshake, raspberriesBookmark the permalink. Love the idea of adding raspberry jam! What a great way to boost the flavors! So simple. But so fresh and summery. And love how you’ve added a swirl of raspberry jam on top. So pretty.